For many in the arts community, today will unfortunately go down as one of the worst days in classical music history. All around the world, fans are mourning the loss of one the greatest cellists of all time: Yo-Yo Ma has fallen in love and broken the agreement he made with a mystic who gave him his musical gift in exchange for a lifetime of solitude. This is absolutely heartbreaking. The music world may never return from this horrible tragedy. While Yo-Yo Ma had dominated the music scene since 1986, the cello superstar suddenly found himself unable to play a single note yesterday after falling in love with his neighbor while she hung out her laundry to dry in the mid-afternoon sun. Ma, who received his musical talents from a crooked old witch who emerged from a bog, reportedly broke the life-changing spell she put on him after the musician felt things for a woman that he’d never felt before. Wow, three decades after signing his name in blood and instantaneously becoming a music legend, Yo-Yo Ma finally blew it when he noticed his beautiful neighbor bending over to fetch her bonnet from her laundry basket. Since playing several minutes of screeching cello noises with the Chicago Philharmonic yesterday and getting booed off stage, Yo-Yo Ma’s career has been tragically cut short. What a sad, sad day for music fans everywhere. We can only hope that a haunting voice will call out from the woods and make some devilish deal with another young musician so Ma’s shoes as a classical music superstar can be filled soon. 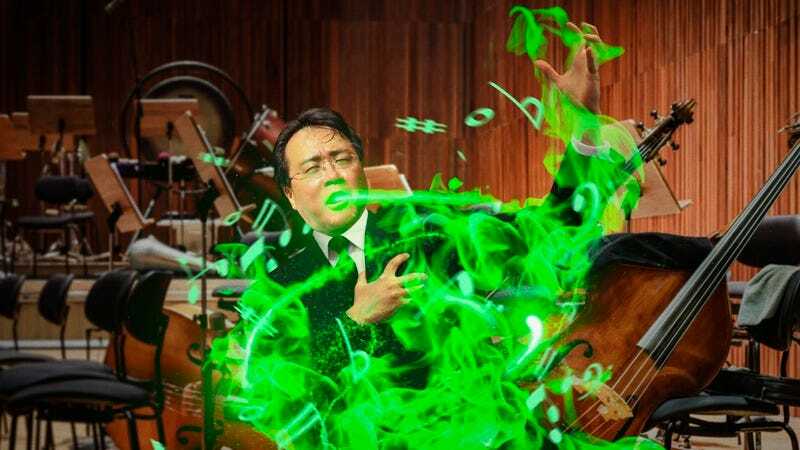 But until then, we wish Yo-Yo Ma, the witch who cursed him, and the classical music community the best.